You're going to visit the biggest concentration of prehistorical rupestral art in the world, its paintings or engraved work, date for the oldest near 9000 years. 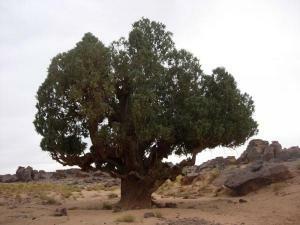 The round about way consists in climbing up to the top of the table land of Tassili, near uneven 500 or 600 meters, and walk from site during a few days. That mean being in a very good physical condition. Your luggage will be carried by donkeys. Day 1 : Welcome at the airport of Djanet. Bivouac at the Tafelete at the foot of Tassili. Day 2 : Go to the top of the table land up to the site of Tamrit. Day 3 : Visit of the natural rupestral site of Tinetouami, canyon of Innetinen. Day 4 : Visit of white and black Sefar. Day 5 : Tin ressouten, diner in Tin Kani, bivouack in Allagh N'Demen. Day 6 : Site of Ijabaren, full of paintings and wonderland at 1900meters.